Why is involvement in quality Jewish teen experiences different from many other activities for teens?These experiences are different because being involved in quality Jewish experiences enables teens to find their place in a crazy world. They also surround teens with caring adults who understand what they need to develop and thrive. Jewish communities also provide opportunities for teens to develop leadership skills and to build healthy relationships with others. Through their involvement, they learn valuable lessons about community-building and lasting friendships – in a safe environment in which they can take risks and be cared for when things get challenging. In so doing, teens not only figure out who they are and how to act, but also become empowered to take action in the world. Why should I shlep my child to this activity?I believe most parents want to raise children who will take good care of themselves and the world around them. They want to raise children who will make good choices in life, children who will respect their bodies, their friends, and the world. It is also true that “it takes a village to raise a child,” but we don’t live in villages, and in the communities where we do live, many of us don’t have extended families or deep-rooted friendships. The Jewish community is our modern-day village, and being involved can help fill the gaps that are part of our modern lives. Parenting advice changes often, and the hot new approaches to parenting teens come and go – but Jewish wisdom can be enormously helpful as we set the course for how we parent. The teachings of our faith can help us navigate our kids’ teen years, and we are wise to take advantage of the time-honored wisdom in our heritage to make our lives as parents – and our kids’ transitions to adulthood – smoother and more meaningful. Why should we ensure that working with teens is a sustainable career path? The magic of youth communities is created by the professionals who work in them, and for many, working with Jewish youth is a calling. Some do it because they were profoundly affected by a youth professional when they were teens; others do it because they did not experience the effect of a caring adult in their teen years and want to give others what they missed. Never in the spotlight, youth professionals work behind-the-scenes to create opportunities that enable teens to thrive. Without opportunities and pathways to grow and thrive, these valuable professionals stagnate, and the entire community losses. Undoubtedly, youth professionals can find other work that pays more and demands less, but they are a unique, dedicated, and talented crew who make a deliberate choice to serve our communities; the least we can do is support them by providing resources to enable them to do their jobs as well as possible. By supporting and investing in these professionals, we allow them to sow seeds that will bloom in our community for years. Why should our community dip into our budget for youth?Our sacred Jewish communities need our teens, with all their energy, vitality, and creativity. 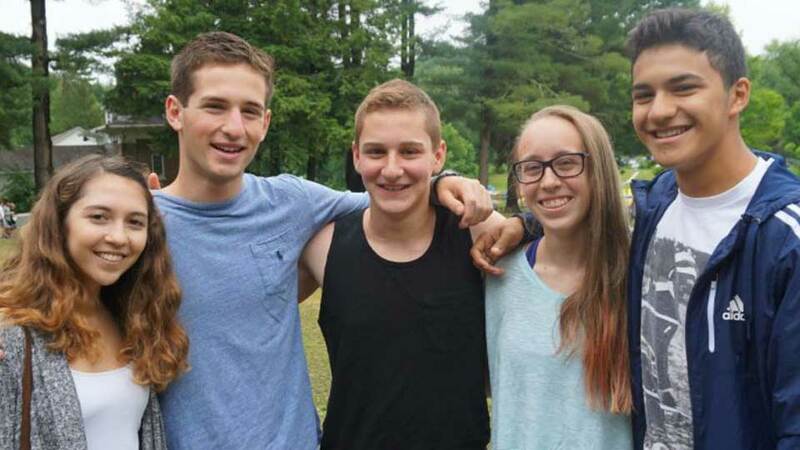 If encouraged and engaged, these teens can contribute meaningfully to the synagogue community and to the larger community – teaching the young, helping the elderly, feeding the hungry, and so much more. By investing in youth, we ensure a vibrancy in our Jewish communities that we cannot attain in any other way. When we delve deeply into the “why” of youth engagement, we find that doing so creates profound meaning for teens, their parents, and their families, for the professionals who work with them, for their congregational communities, and for the larger Jewish community. Just as we annually retell the story of our Exodus from Egypt, so, too, must we continue to raise our voices and tell our own stories in all our communities. We must tell the stories of healthy growth and development of our teens, and of the efforts expended by their parents and youth professionals to create healthy activities and environments in which young people can grow, thrive, and give back to the larger congregational community. Indeed, investing in our youth is an opportunity with no downside, and when we do so, everybody’s a winner. Margie Bogdanow, LICSW, is a Senior Consultant for Teen Education and Engagement at Combined Jewish Philanthropies in Boston. This piece is adapted from an earlier blog she wrote three years ago.